Make sure your vacation puts a hop in your step by staying at this lush villa! Consider this your prime getaway destination. 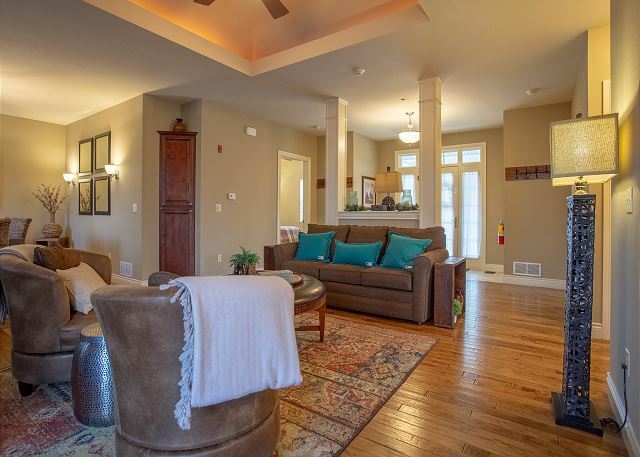 Located in Branson Hills Resort, this unit is just minutes from shopping, food, and all the essentials you'll need for your stay. Just a bit farther and you'll find Downtown Branson and all the fun it holds! 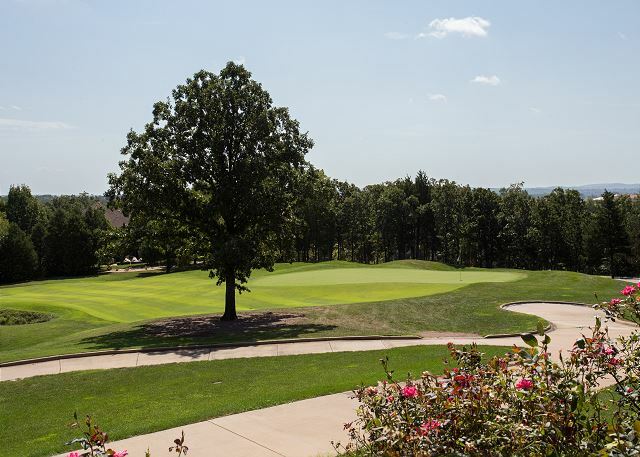 Find entertainment in the resort itself, with an outdoor pool, tennis, and the Branson Hills Golf Course. Ranked #1 in the state by GOLFWEEK three years in a row, it's a sight to behold! Come and take a look! 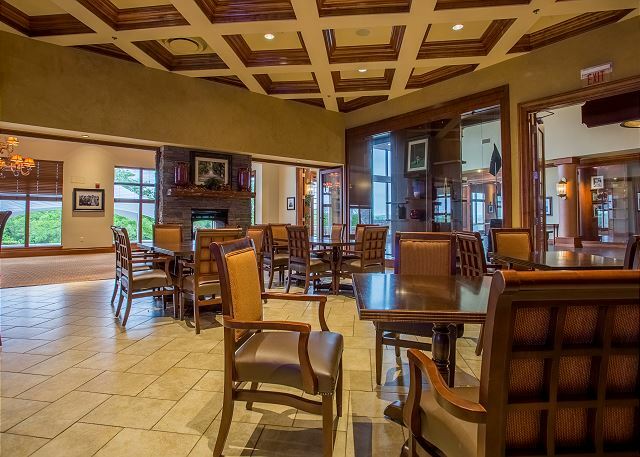 After hitting all your birdies and eagles, head back to this beautiful, private retreat. 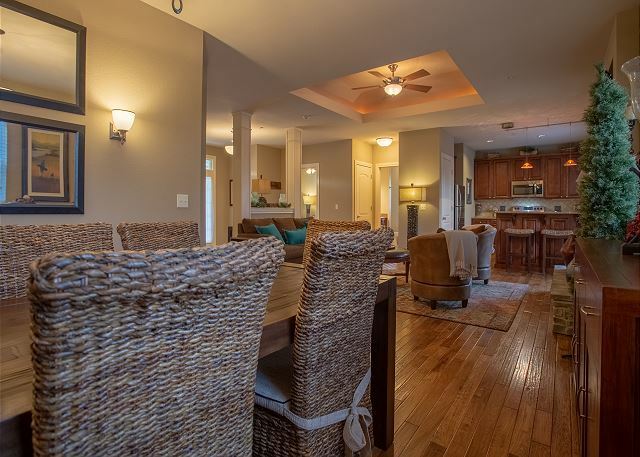 Relax with plenty of room to spare in this spacious home. Watch your favorite shows on the flat screen TV while you grill out on the private grill! Or video call all your friends back home using the free wi-fi internet. Tell them what a wonderful time you've had in Branson and see if they want to come with for your next vacation in the gorgeous Ozarks! Excellent! The most organized rental I have ever stayed in! Beautiful furnishings and VERY clean! Loved being off the beaten path! Can't say enough good about this villa! Delilah, this review made us all smile! Thank you so much for your kind words. We are so glad that you had a wonderful stay. Don't forget about us next time you are in the area! We would love to have you stay with us again. We really enjoyed this rental. Plenty of space for the 2 of us. Locking and unlocking the front door was a little challenge until we got the "hang" of it. We would gladly stay here again. Also there are 2 lock boxes outside and instructions for entering didn't indicate which one we were to use. Also we arrived after dark and it was hard for us to see numbers on lock box. An outside light left on would have been helpful. This was a fantastic rental. The amenities exceeded our expectations - it was extremely clean, there were an abundance of supplies. There were even toys available for my toddler to play with! I would definitely recommend this to anyone who is looking for a place to stay in Branson!! THE HOUSE WAS VERY NICE AND CLEAN! GREAT LOCATION!! THE ONLY THING WE WEREN'T HAPPY WITH WAS THE POOL CLOSING AT 7:00 EVERY NIGHT. We went on a quick vacation to Branson with my sister in law was visiting from Georgia! So glad we chose this place. 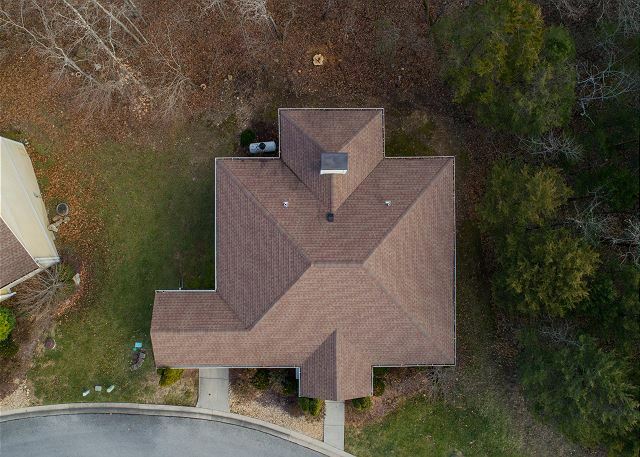 It was easy to find, great location and Very nice home. The owners have made this like a home away from home. My almost 6 yr old son was so happy with the games they have left in the home for renters to use, it gave us something relaxing and fun to do after exploring Branson all day. And they allow pets, so our dog was able to come too!! Great extended weekend in Branson!! The property was Great! It was clean and the upgrades to the property since our last stay a few years ago were impressive. Loved every minute of our stay except it was too short. Friends and Golf get away! Nice time with great friends, Villa was perfect for two couples. Location worked very well for out trip.WW,LW,SC & JC. Very Nice Home, we really enjoyed our stay. Everything was super ! Very close to the Branson experience. Would do it again. 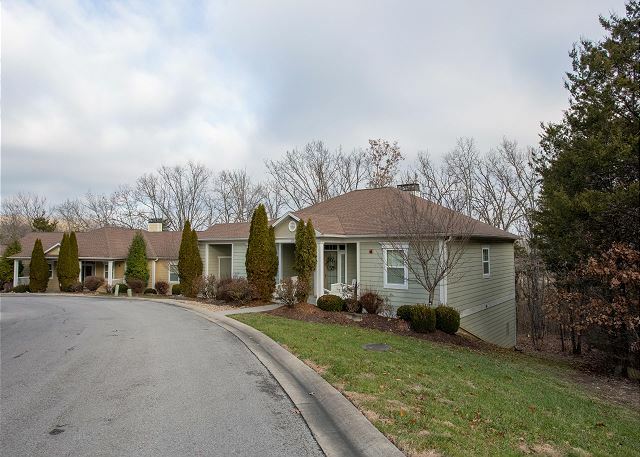 This property is a little off of the beaten path at Branson but still close to everything. The location allows you to take the back way to all of the shows and miss the heavy traffic areas. There was very little street traffic at this location.The property was clean, well maintained and well accommodated. We took advantage of the washer and dryer. The beds were comfortable. The kitchen was well equipped. The bathrooms were clean and nice. The Smart TV and Wifi worked well. Our favorite place to eat was the Dobyns Dining Room at the Keeter Center on the College of the Ozarks campus. They are usually at capacity for most meals so reservations are highly recommended. You can make reservations online. The "Acrobats of Shanghai" and "Samson" were both very entertaining and worth seeing. We enjoyed our stay at the Summersong Villa. It was cozy and clean, and the customer service was great. We didn't have hot water one morning, and a maintenance person came and fixed it right away. I would highly recommend staying here to anyone. This is a very nice place to stay. Very clean and very quiet. Hello, David. Thank you for taking the time to write us some feedback on your stay at Summersong Villa. We're so glad that you enjoyed your time with us, and we hope to see you again soon! Remember that we have a special returning guest discount waiting for you when you're ready for your next Branson vacation! We enjoyed another wonderful stay at Summersong Villa. It is such a nice and peaceful place to return to after a day of shopping and fun. We enjoyed our stay very much! We highly recommend using Sunset Nightly Rentals when you are looking for a place to stay while in Branson! This place does not miss a thing! Luxury throughout , very clean, well organized . Your location is smack dab in the middle of everything ! New owners on our home away from home. Love what they have done to the place. made it so personable! New sofa, chairs, outside lounge area and linens. Just love it. My family just loves this place. 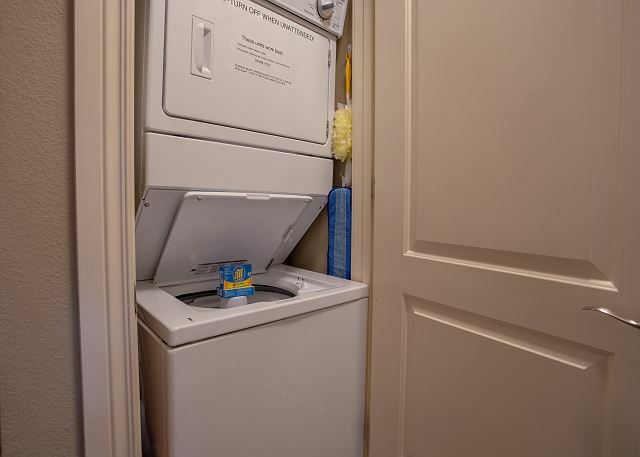 it is always clean, centrally located, easy access to ge in and out of for an elderly parent. will be going back again soon. We had a great stay. Didn't appreciate having to get up the first morning and go and buy coffee filters that was on the list to be furnished, wish we would have checked the night before. Great place though we would go back. A little cleaning on the deck would not hurt a thing. The house was great. Any place I can bring my furbabies already high on my list. But it was clean and very homey. The only complaint I had about the stay was my girls and I went to go to the pool on our last night at 645 and we had just sat down at 655 when a gentleman said it was closed to leave. The poor people in the pool didn't even get a chance to dry off. My issue is there was no life guards. I've never stayed at a place where there was no life guards and it closed that early. It was hot. I had been shopping in your lovely area and I just wanted to cool off, and didn't get to enjoy even 1 dip in the pool. We booked this for a family reunion being held in Branson, and it was absolutely perfect for our needs. Modern, very clean, in a nice location close to US 65. A pleasant surprise was seeing so much wildlife in the mornings. We had 5 adults and were all quite comfortable there. Use of the facilities (country club pool and gym) is available to guests which was also a nice plus. We can recommend this property highly. Thank you for a very pleasant stay. The location of the rental was excellent. Close to everything. The floors were sticky and felt like they had not been cleaned. The linens for the queen air mattress and sleeper sofa did not smell fresh. We were somewhat disappointed that the pool closed at 7 p.m. After visiting the town during the day, it would have been nice to come back and relax in the pool for an hour or so in the evening. Almost all the outside doors were hard to close. They could definitely use some repair. We loved the fact that the rental was pet-friendly. Good morning, Misty. Thank you so much for your feedback, we appreciate it very much and will be bringing up these concerns about cleanliness with our housekeeping team. We will also look at and tend to the outside doors. 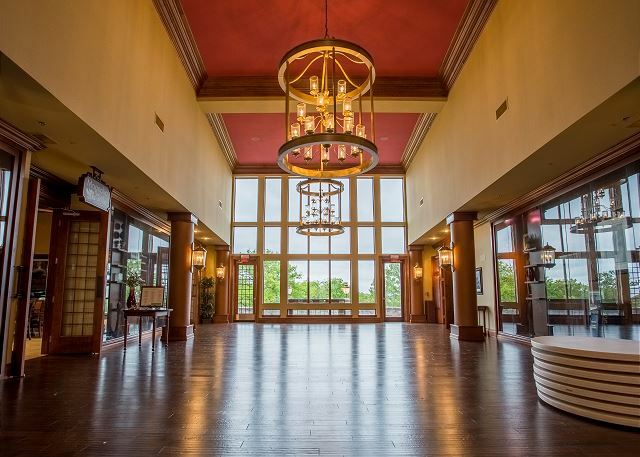 We hope that we can help you find the perfect property for your next Branson vacation, and don't forget to mention your previous stay with us for a special returning guest discount! Just love this place. It is always clean, centrally located and set up nicely plus the realty company Sunset is so good to d business with. Donna Maki is particularly nice. Good afternoon, Peggy! We're so glad to hear you enjoyed your stay with us. Thank you for your review and the kind words about our staff. We hope to hear from you again soon, and don't forget to mention you're a past guest for a special discount on your next stay! Good morning, Jennifer! We're glad you had a nice time at our unit, and we thank you for the feedback so we can work to make our properties even better. We hope to hear from you again! Don't forget to mention your previous stay for a returning guest discount! Cozy,clean, comfortable,friendly for our small dog. Nice walking trail across road at city rec-plex.10 minutes from music shows,5 minutes to grocery store. Good afternoon, Janet. We're so glad to hear that you, and your furry friend, enjoyed the stay at Summersong Villa! We hope to hear from you again soon, and please don't forget to mention your previous stay with us for a returning guest discount. Thank you for the feedback! We really enjoyed our stay at Summersong Villa. It is beautifully decorated and very comfortable. We loved the location-very peaceful and quiet, but easy to get around to all of the attractions. The location was also great for walking my small dogs. Our only regret was that we couldn't stay longer. I will certainly use Sunset Nightly Rentals again-they are so helpful in finding just the right place for us! This unit is so comfortable and inviting. We always try and stay here when we go to Branson. It is conveniently located to everything, always very clean and very handy with easy no step if you are traveling with someone who is elderly. I highly recommend this lovely property. We were very pleased in the Summersong Villa rental while on vacation in Branson. 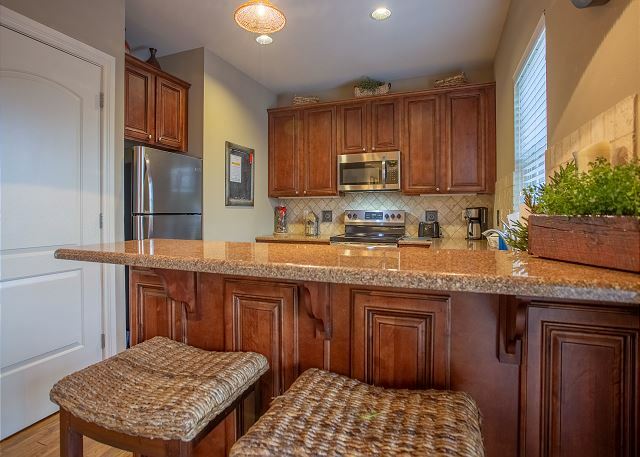 It was very spacious and clean, maintained well,nicely decorated ,pet friendly which was a big plus for our family. 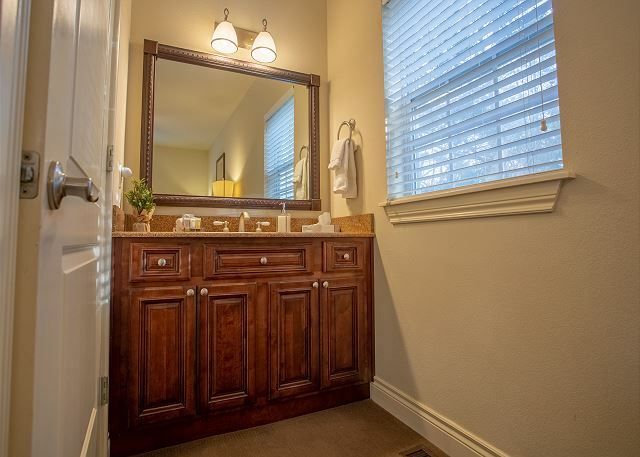 The property is within walking distance to the pool, tennis courts and golf course.We were only 6 minutes away from the strip as well as The Landing. We will definitely recommend this property to family and friend and plan to stay again in the future! It was a quiet, peaceful place to stay. It was also a good location and it was easy to get around to the attractions. Very Clean would stay again,Good place to have a pet.grill needs to be cleaned more often . We can't say enough good things! The outside of the property was beautiful. The inside was nicely decorated and well furnished. The only negatives I noticed was the shower floor had a "slimy" feel to it and we found a roach in the kitchen. Staff very helpful. Arrived after office hours and had misplaced the code to key box. The staff at the 800 number got it for us right away. We so appreciate that our pet was made welcome. 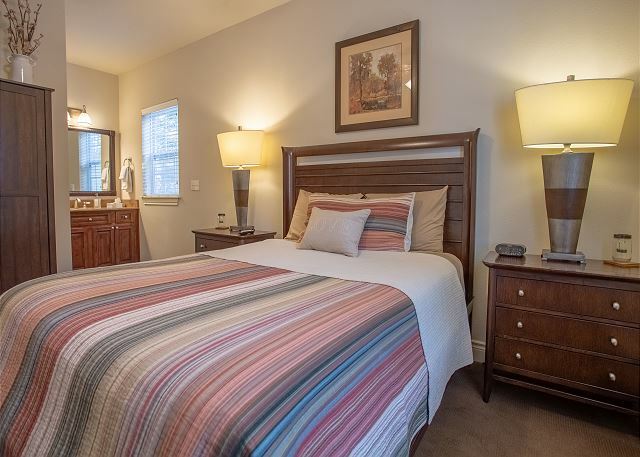 We love the quiet location,the comfortable,tastefully decorated rooms. We definitely will return. 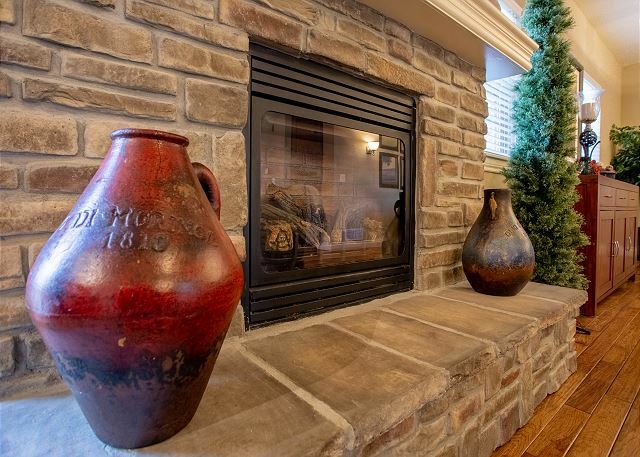 Great location,well maintained,loved the fireplace! Very tastefully decorated. We so appreciated that our small dog was made welcome. We plan to return soon. We love this place and stay here every year. Its clean, centrally located and easy to get into. Only one step if you have someone in a wheelchair or leg problems. Just an all around good experience. Will probably stay there a few times next year. We enjoyed our villa. Very clean and a great location. We will be back. This is the second year we have stayed at this villa. 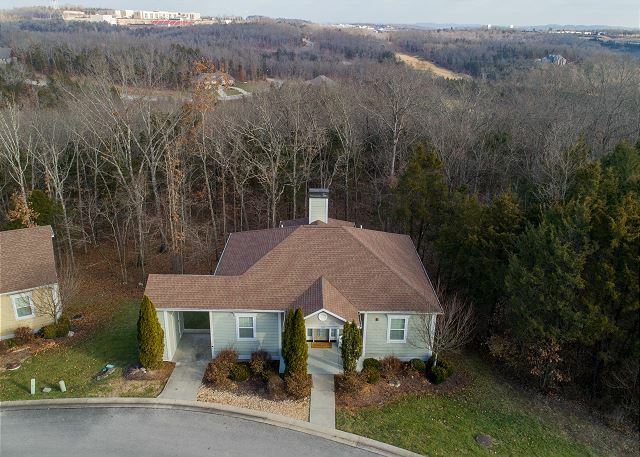 Very clean and a nice location in Branson; far enough from the strip to be quiet, but close enough to the roads that lead you into the strip to be convenient. They are also pet friendly and were accommodating to our mini dachshund. Did everything on line and never had to speak with anyone from management. Will definitely stay again. 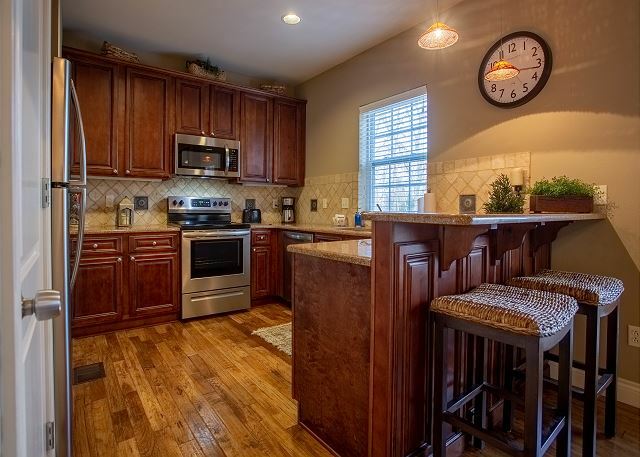 The villa was great,spacious,and clean,and pretty close to all the activities in Branson. The only conplaint is there was know frying pan. This place is so clean and easy to get in and out of. 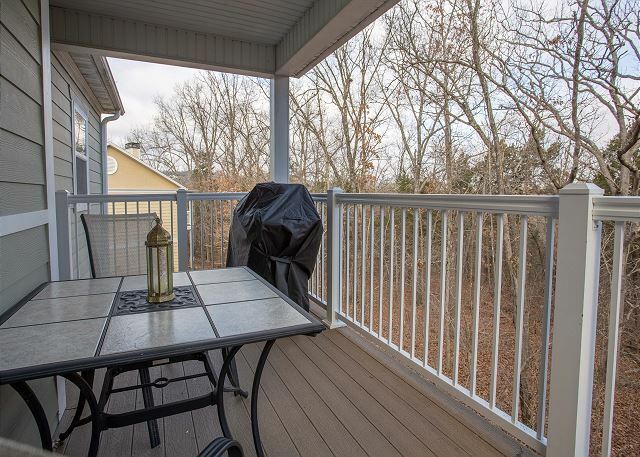 It is centrally located and nested into trees and wildlife abundant. Love to stay here. The unit itself is set up nicely and really well kept. Will see you in a couple of months. Very nice stay! Plenty of room. Didn't have any pans to make breakfast with. There were pots but no pans. I would stay again. Loved the back patio and the swimming pool! I love the location and the fact that this villa is pet friendly. We would take walks up and down the privet drive, just loved it. My only complaint is that one of the beds had dirty covers and the cleaning person needing to take a little more time vacuuming and dusting the place. Other than that it was a great place to stay. It was very nice and quiet. We loved it!!! Still close enough to Branson and shopping. My family and I truly love this place. 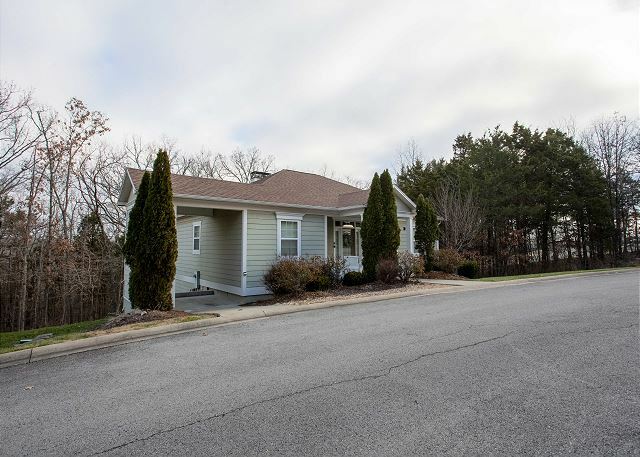 It is nice looking, convenient, and is close to everything that we love to do in Branson. There are no steps to get into the unit which is great for our elderly mother and is pet friendly! this is or second stay but we have it booked for two more times this year. Thank you for such a nice place! The whole family really enjoyed this vacation rental. Convenient access to Branson attractions. Minor issues were loose kitchen faucet, area rug could of been cleaner, sofa and chairs could of been cleaner (we covered the sofa and chairs). King or Queen beds instead of double beds would have been better. We were celebrating our 10 year anniversary and wanted a comfortable place to stay while in Branson. This fit the bill perfectly, very cozy and comfortable. We loved it. We loved staying there ,Very nice and quite. Thanks, Doug. We're glad you enjoyed your stay. we have stayed at summersong villa before and liked it so we booked again. we were on the same street but in a different house. The house is in a great location. It is close to all the shows and attractions (2-4 miles) but away from all the noise and traffic. Very easy to get to everything. The house easily served the needs of my wife and me and our small dog. The only problems were that some of the things were not as clean as they should have been (glasses and towels) and the handle to the second bathroom door fell off making it impossible to get out without help from someone outside the room. Assuming that these were anomalies, I would recommend and book again. Our stay at Summersong Villa was very pleasant. 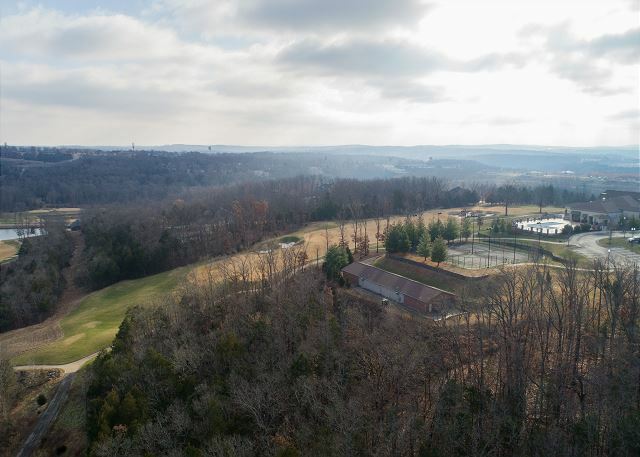 Nestled up against Payne Stewart Golf Club and surrounded by gentle hills and trees. There was some noise early morning by grounds staff coming and going in golf carts. The house was spacious and clean. 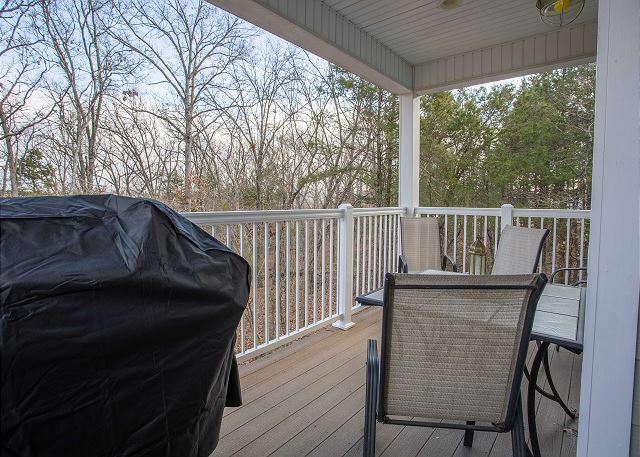 The back deck was delightful nestled against the tree line. Saw wild turkey, deer, lots of rabbits and birds. Enjoyed the Payne Stewart pool as an extra. Probably only slept 4 comfortably. Beds were on the smaller side and pull-out couch sleeper would not be comfortable. Would definitely rent again. Thanks, Mohammed. We are glad you enjoyed your stay! This home exceeded our expectations. Even my boys (18 and 22) commented on how much they loved the house. We had been staying at Westgate but after this experience we will never go anywhere else. Thanks for the peoperty owners for providing such a great place for my family to stay. We will be back. Thanks, Doug. We are happy that you enjoyed your first experience in a Sunset vacation rental. Be sure to come back soon! The condo was amazing and so close to downtown but far enough away not to be caught up in the traffic. The condo was beautiful worked well for our needs, love going to get the golf cart and driving to the course. The course was amazing. Thank you for allowing us to stay in your beautiful condo.. Would recommend this place to anyone.. Thanks, Andy. We're so glad that you enjoyed the location and your stay. Come back and see us soon! Thanks, Ronald. We will pass the suggestions along to the owner. We're glad you enjoyed your stay! Come back soon! Great Place!! We will be back!! Very nice rental. Branson "downtown" could be accessed from 2 directions with minimal traffic issues. Walmart / Target and other resturants with in 3 mins away. Very clean and convienent! We will be back! Thanks, David. We're glad you enjoyed your stay. 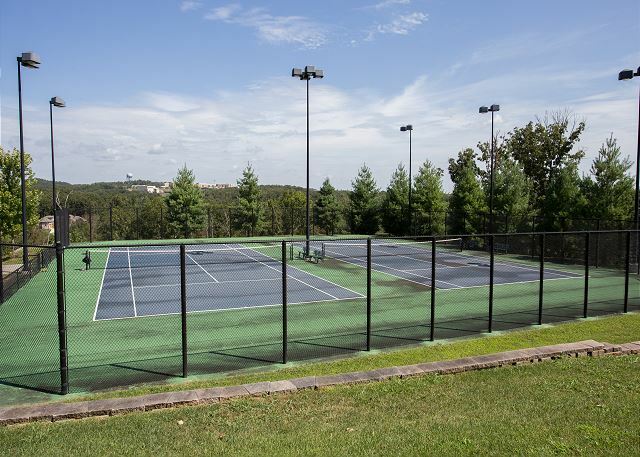 Be sure to come back in the summer and enjoy the great amenities that Branson Hills has to offer. See you soon! This property was wonderful - great layout.... We would stay here again! Thanks, Pat. Come back soon! Having been to Branson before and staying in a hotel, it was so nice to be able to stretch out in more of a home setting! The house was a lovely size for us and the location just could not be beat. Would highly recommend this villa. I don't think that we could stay in a hotel again. We would stay in this villa anytime. Well worth the price. Thanks, Peggy. We're glad you enjoyed your first experience in a vacation rental over a hotel. We hope to see you back soon! We had a wonderful time here. The villa is in a great location, close to stores, restaurants and shows. It was nice to walk up and down the driveway with my dog. We all had a wonderful time and would stay here again!! Thank you for your review, Amber. We are glad that you had a great stay and hope to see you back soon. Our time in Branson was made more enjoyable by staying at this Villa!! We loved the layout and decor and the location was perfect!!! We are very happy that you enjoyed your stay at this great place! We hope to see you back soon and be sure to mention that you have stayed with Sunset before to receive your Repeat Guest discount. This rental property was the perfect fit for us - it accommodated us very well and was very clean. The layout was well planned, the location was quiet and beautiful and don't know what could have been better. Thank you for your kind review, Stephen. We are happy that you enjoyed your stay and we hope to see you back in Branson soon! This was a wonderful experience for our family. My only suggestion would be curtains and/or blinds for the front door. The property/street is dark at night and it was uncomfortable with no privacy in main living area. Other than that, we loved it! Thank you for your review, Kelley. We will send your suggestion to the owner of the property but we are glad that you enjoyed your stay. We hope to see you back soon! Thanks for your review, Luke. We are happy that you enjoyed this property and we hope to see you back soon! Super cute house, plenty of room. We had a very relaxing stay. Convenient to everything we wanted to do. I would definitely stay here again and will recommend it to friends and family. Thank you for your review, Donna. When you plan your next trip to Branson, be sure and mention that you have stayed with us before for our Repeat Guest discount! This property is far beyond the typical renter's experience, whether discussing the spacious indoors or well manicured outdoors. 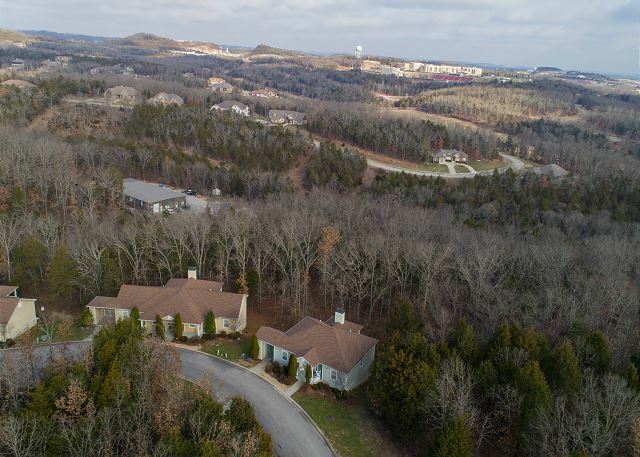 Our family especially enjoyed the location, which was close to the attractions in Branson yet isolated on a golf resort. We'll definately stay again at some point in the future. Great stay!!!! The reservation process was flawless and efficient (and completely electronic). The villa was very nice and comfortable for our stay (except the gas grill did not work - a disappointment). 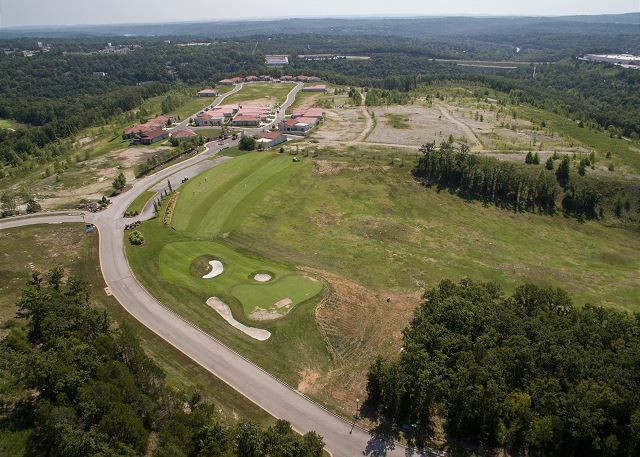 We stayed here in hopes of enjoying the Payne Stewart golf course which turned out a little less than expected and had the downside of having early-morning noise from the constant grounds maintenance (a necessary evil of being around a golf course I guess). Overall a very enjoyable and relaxing stay.